The end result? A range of footwear to suit active athletes, smart/formal or work occasions, fashion-conscious and practical comfort vegans. Below are a number of vegan-friendly brands and some of my favourite choices from each of them. Some might seem pricey, but you know that you’re paying for quality materials and boots that last a long time whereas for some cheaper brands, the shoes don’t last quite as long depending on the quality and craftsmanship. Having said that, I’ve tried to encompass a range of brands across different budgets because, after all, regardless of price range, the most important thing is that we’re all able to find shoes and boots that fit our style and budget. Please note that not all brands are fully vegan and I have marked these next to each brand. 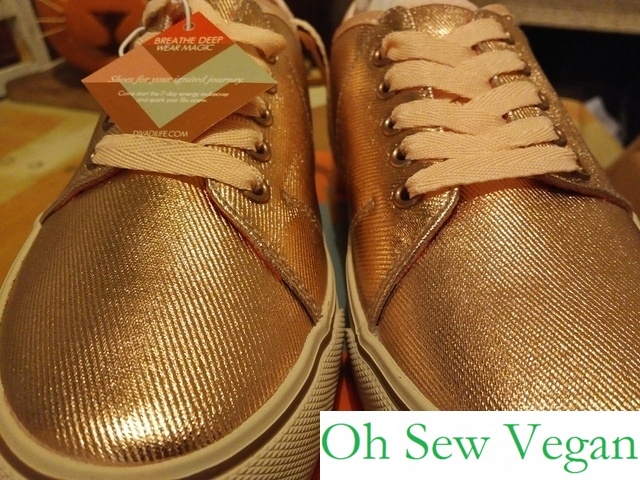 Avesu is an online vegan footwear retailer which has been operating for the last 5 years. The company is based on Germany but ships vegan shoes worldwide. Whether you’re looking for athletic wear, fashion boots, heels or brogues for work, Avesu has you covered. Thinking about vegan-friendly non-leather or -sheepskin Uggs? 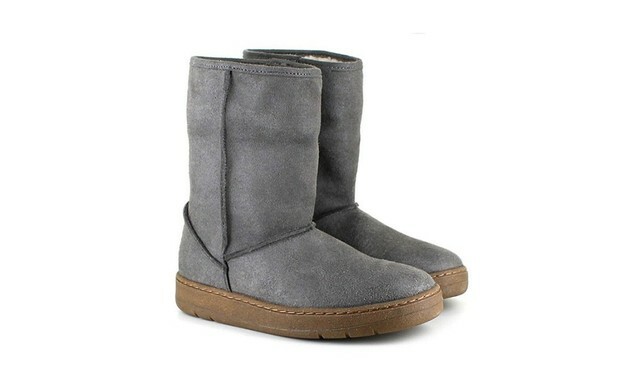 Avesu stocks a range of Snug Boots by Vegetarian Shoes like this pretty grey coloured one. 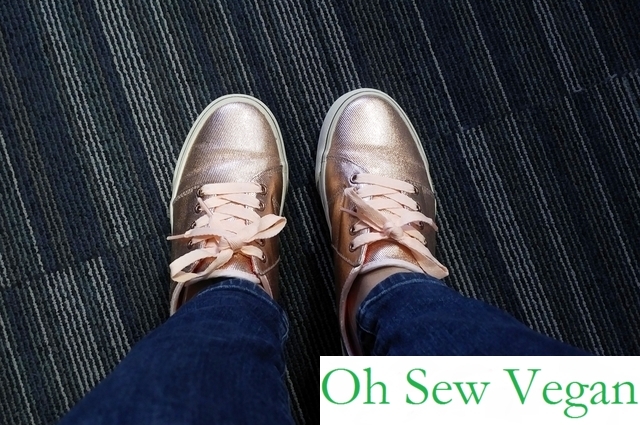 Of all the vegan shoe brands that have made a name for themselves, the first name that most vegans I know will have mentioned Wills Vegan Shoes first. Established in 2012, Will Green designs his footwear with quality in mind, bringing contemporary designs which, packed into four seasons, give you a year round alternative. 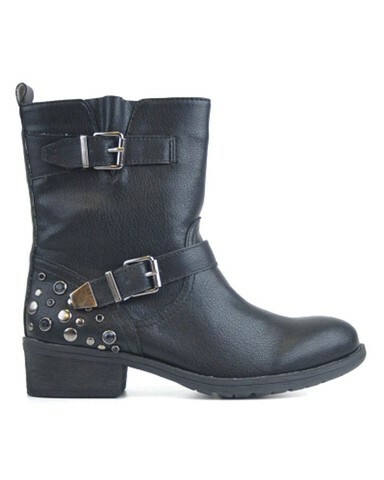 Wills Vegan Shoes are fashionable and you can pick from comfortable skater shoes to fashionable knee-high boots, court shoes for the office to biker boots. 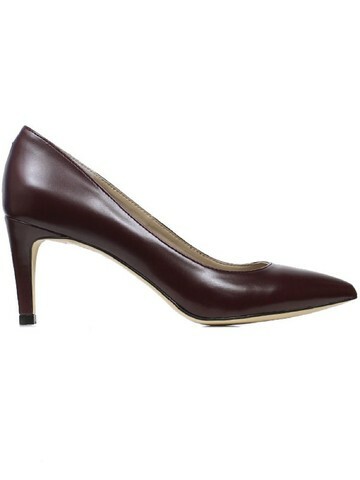 Shoes are just as fashionable for women as they are for men. Wills Vegan Shoes is also PETA-approved. 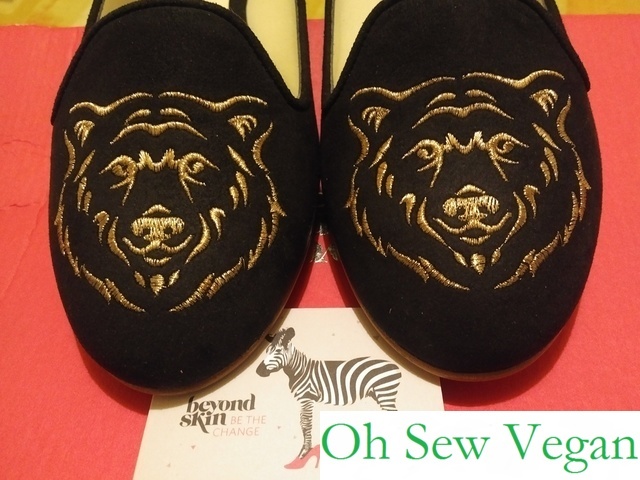 Beyond Skin is a brand that started in 2001 as a result of not being able to find stylish but cruelty-free shoes. They initially started in a small factory and offered a small collection of shoes and boots in two simple colourways over six styles. Now, the brand offers a variety of vintage-inspired shoes, boots, heels and sandals made in Alicante, Spain and despatched to customers from Hove in England. From brightly coloured and patterned designs to simple block coloured beauties, you’re bound to find a pair to suit your needs. Already, I love wearing my embroidered slippers in warmer weather and my new boots that I got for my birthday, although I haven’t yet had a chance to wear them in the frost and snow, for someone who’s 5’5″, my new over the knee boots for once don’t cut me off at the knees! 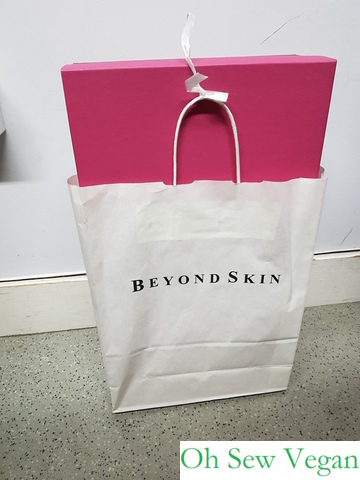 Beyond Skin is PETA-approved as well as recognised by The Vegan Society and The Vegetarian Society. 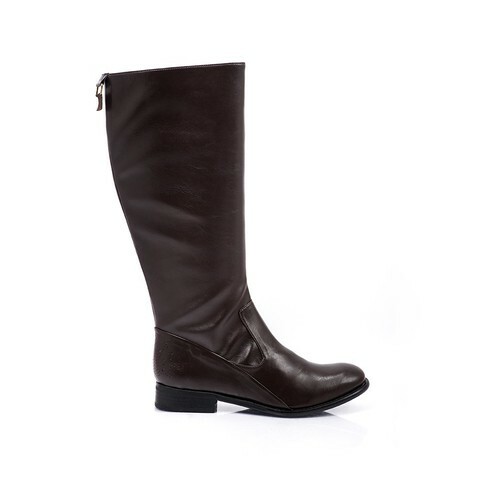 Bringing back my beautiful new brown Madison over-the-knee boots from Hove to Edinburgh! I came across DIVADI completely by chance, the brand only started up this year, but has already made a mark for themselves amongst some athletic social influencers. In Vietnamese, di va di means go and go. To keep going is a message that is enveloped in each product designed with love and inspiration. We want to be a reminder for you – life travelers, urban explorers, free souls – to never stop, to go forward, and create the reality you wish for. DIVADI is a global citizen: it was born in Vietnam, adopted and nurtured by California sunshine, and raised in the city of Vienna. For each pair of shoes bought, a tree is planted in Vietnam through the One Tree Planted programme, so you know when you’re buying cruelty-free kicks, you’re also helping the planet. They also have plenty of exciting activities planned for 2018, so watch this space! For a company that was established this year, they already have 2 styles with several designs already available for purchase. Each pair of shoes come with DivadiChi Energy Insoles, unique energy insoles that activate vital life force through color and symbol reflexology. Together with their Free Energy Tools, feel a difference in mind, body and soul. I decided for everyday slip ons, I wanted something that was going to make a statement. Independent London-based footwear brand Bourgeois Boehme offers state-of-the-art luxury shoes completely free from animal-derived materials. The British-inspired, brand-exclusive styles are all artisan-made in Portugal from the finest eco-friendly Italian vegan leathers. With great attention to detail, BB champions slow fashion and redefines the perception of leather-free footwear. Using the latest Pinatex technology, you can also browse a collection BB’s footwear made with vegan leather made from pineapple leaf fibres. Transparency is very important to the brand and the ethical factories have been inspected by the founder Alicia herself to ensure high standards of working conditions and production. Fashion Conscience a UK-based online ethical clothing retailer, the brand offers their own range of vegan footwear through their FC Select range, offering different ethical vegan styles suitable for the office, casual comfort wear or stylish boots for those cold winter months. You can view their full range of vegan shoes and boots here. Speaking of vegan footwear, we’ve covered everything from shoes to boots, sandals to work-appropriate footwear, but what about what to wear to the beach? Gumbies Developed with a passion for outdoor life, Gumbies Islander Flip-Flops provide the freedom of minimalistic footwear while ultimately protecting the sole. Gumbies follow the contours of the foot, the arch of the sole and most importantly provide comfort between the toes, whilst using the most practical, natural and recycled planet friendly materials where possible. Like best mates, they get more familiar with time. 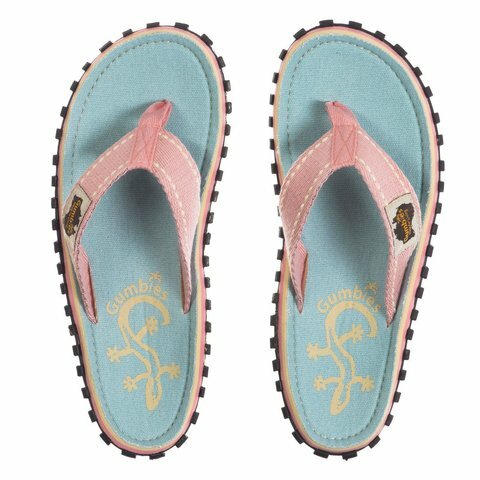 Gumbies Islander Flip-Flops give you timeless style and are fashionable, functional, fresh and fun. Made from recycled rubber bonded with jute for strength, sandwiching an eva midsole for comfort, topped with canvas for a more natural touch to the skin and finished with vibrant, but contemporary colours, each one tells a story – a blank canvas to express his beliefs and unique view of the world. Shoes of Prey allows you to create your own perfect shoe: by customising everything from the materials used for the outer shoe, the heel to the insole. When it first began, Shoes of Prey offered a range of suede, leather and silk materials, but now taking into consideration the need to appeal to vegan customers, they also offer ‘sparkle’, ‘satin’ and ‘print’ materials which are vegan-friendly in addition to their PETA-approved microfibre vegan leather and soft vegan insole lining (full details here). 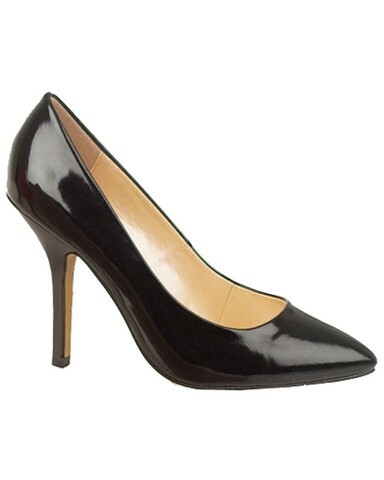 The beauty of Shoes of Prey is that you can truly customise a basic design of open toe court shoes, sandals and boots from a basic design to the shoe you’ve always imagined owning with materials that are all clearly marked as vegan. Design a pair of high heeled-platform courts with a sparkle heel or add your own touch of fashion flair with a jaunty bow, be free to let loose your inner fashionista! It might seem an unlikely mix, but well-known brands do offer vegan options and Vans is just one of them! 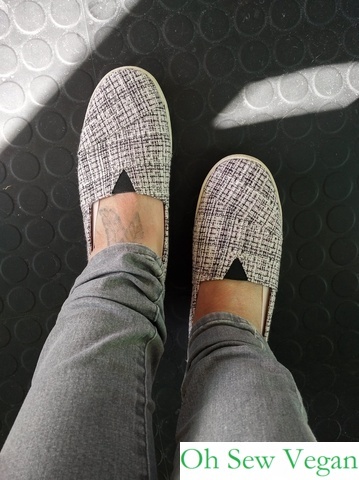 You can find your favourite comfy pairs of slip ons and accessories in vegan friendly styles (here) by searching their vegan category. Other vegan footwear retailers also stock more styles from Vans. 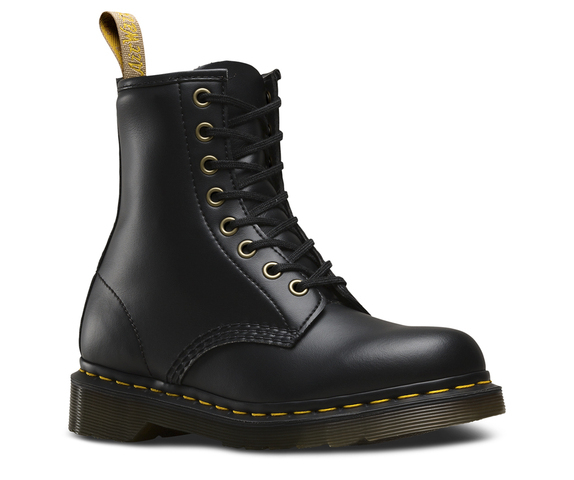 I still remember how Dr Martens were a popular choice of footwear brand growing up, a pair of their classic ankle boots was the thing to have. 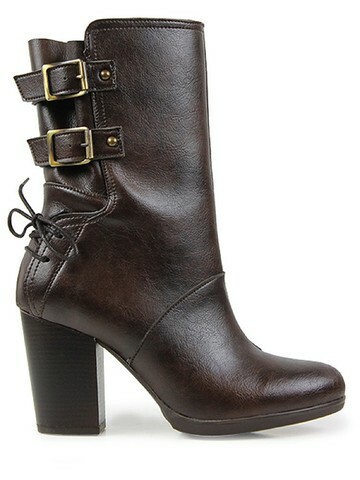 Luckily for those of us who still like these sturdy boots, they offer a few different pairs of their classic shoes and bags for vegans which you can view here. I don’t own a pair myself, but I’ve been told, like any new pair of shoes, once you break them in, they’re just as comfortable as the leather boots. Veja is a brand that understands the crisis the world faces. Everyday, more damage is done to our world and workers are exploited in the name of profit. 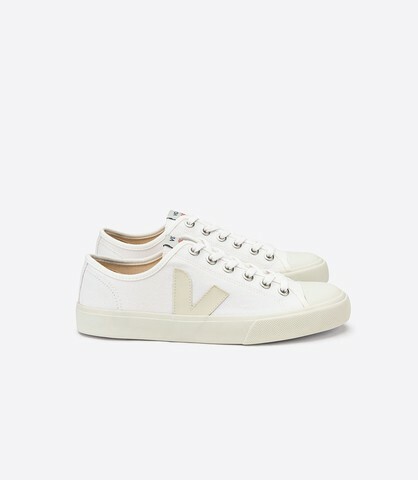 Not only does Veja ensure workers are fairly compensated and looked after in the factories, they also ensure all sources of materials used for their shoes are fairtrade. Transparency is at the heart of everything Veja does, and you can understand more about their ethos and projects here. You can browse their range of vegan shoes here. TOMS made a name for themselves when their Founder and Shoe Giver, Blake Mycoskie, started the business model of donating a pair of shoes to children in need with each purchase of a pair of their shoes. Through his One for One programme, the company has provided over 60 million pairs of shoes to children since 2006, TOMS Eyewear has restored sight to over 400,000 since 2011 and TOMS Roasting Company has helped provide over 335,000 weeks of safe water since launching in 2014. In 2015, TOMS Bag Collection was founded with the mission to help provide training for skilled birth attendants and distribute birth kits containing items that help a woman safely deliver her baby. As of 2016, TOMS has supported safe birth services for over 25,000 mothers. 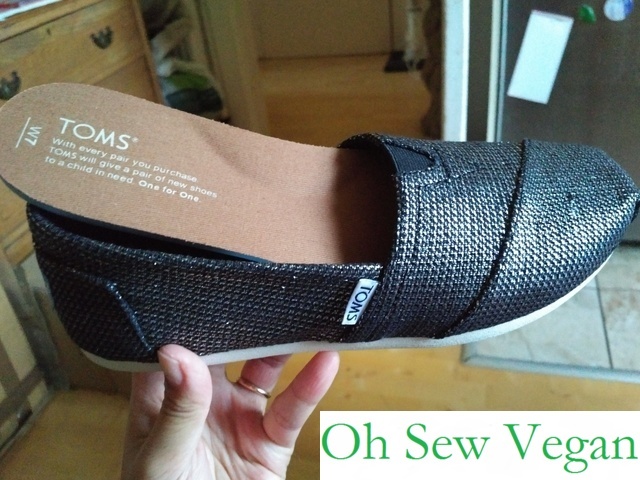 Not all of TOMS footwear are vegan, but these are clearly marked when you browse their main page or you can go straight to their Vegan Collection page (here). 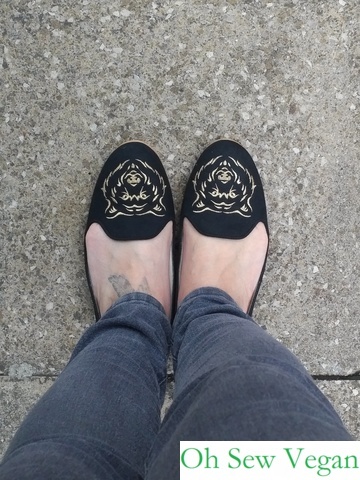 I was on the lookout for some comfortable every day slip ons and was excited when I found these beauties. They also come with padded insoles that you can remove if you find the fit is a bit too tight. Are there any other brands that offer vegan footwear? What’s your favourite vegan shoe?